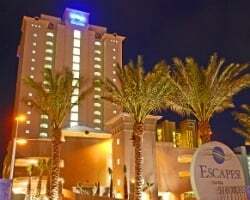 Situated on sugar-white sand, overlooking the emerald waters of the Alabama Coast, *Shores - Orange Beach* is a great year-round vacation destination. Beautifully appointed accommodations offer plasma-screen televisions and Internet access. Each two-bedroom unit has a spacious balcony facing the Gulf. Resort amenities include indoor and outdoor pools, a sauna, steam room, outdoor gazebo, picnic area, and state-of-the-art fitness center. 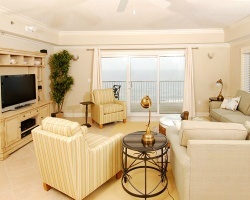 Enjoy picturesque views of the gulf, right from the privacy of your balcony! Make an offer today! Come explore Alabama during any week you choose! Odd year usage! Buyer may receive a title fee credit, inquire for details! Recently Reduced. Motivated Seller. Experience Southern Comfort while relaxing on the beach! Buyer may receive a title fee credit, inquire today!